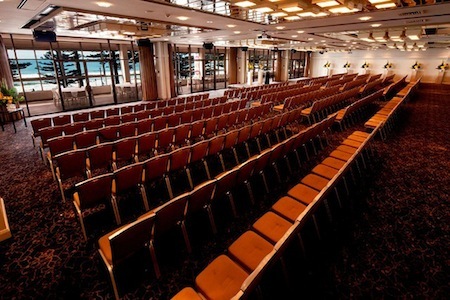 Located right on Sydney Harbour, Pullman Quay Grand Sydney Harbour is a stylish and ideal venue for all your meeting and event needs, ideally located at East Circular Quay, just a short walk away from the historic Rocks district. Three flexible business meeting spaces at Pullman Quay Grand Sydney Harbour offer up-to-date technology, personalised service and attention to detail, in an amazing harbourside location. 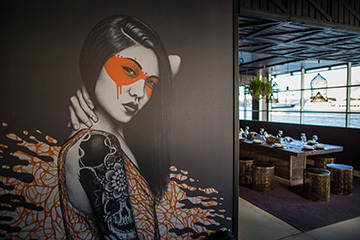 The Lachlan Macquarie room is a contemporary space that readily converts into two smaller meeting rooms adjacent to the Gallery pre-function space which is ideal for displays or guest registration and is an impressive cocktail venue with spectacular views over Circular Quay. The Harbour Boardroom overlooks Sydney Harbour, and features natural lighting and a boardroom table that comfortably seats 14 delegates. We can cater for all your food and beverage needs. An extensive range of audio visual equipment is available for hire.